A net zero vision by 2050, in line with the Paris Agreement, is the most viable way to collectively combat global warming. Ambitious long-term targets encourage investments and innovations that future proof our assets and attract customers. We believe that everything that is made from fossil-based materials today can be made from a tree tomorrow. The Financial Stability Board's (FSB) Task Force on Climate-related Financial Disclosures (TCFD) recommends a framework for disclosing climate related risks and opportunities that goes beyond current practices. 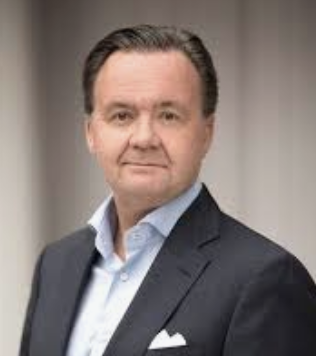 Stora Enso’s CFO Seppo Parvi has signed a Statement of Support by Accounting for Sustainability (A4S) to express our support for the recommendations. With our science-based target, aligned with keeping the global temperature rise well below 2°C, Stora Enso commits to reducing greenhouse gas emissions from operations by 31% per tonne of pulp paper, and board produced by 2030, compared to a 2010 baseline. To reduce emissions in our value chain, we also commit to ensuring 70% of our non-fibre suppliers and downstream transportation suppliers in terms of spend set their own GHG reduction targets by 2025, and adopt science-based GHG reduction targets by 2030. In addition, we commit to training 100% of our customer-facing staff on the advantages of setting science-based targets by 2020. The TCFD recommendations respond to a growing demand for improved financial disclosures from companies in relation to climate risks. In addition to investors and regulators, leading companies are also communicating their support for the recommendations through Statements of Support by Accounting for Sustainability (A4S). To strengthen our commitment to vigorous climate-related reporting, our CFO Seppo Parvi has signed an A4 Statement of Support to express our support for better disclosure of climate risks and opportunities. Corporate Leader’s Group, Low CarbonTechnology Partnerships initiative, Science Based Targets initiative, We MeanBusiness Coalition, as well as WBCSD’s initiatives such as Forest SolutionsGroup (FSG), FReSH (to combat global warming through reducing food loss and waste), and Factor10 for circular economy. 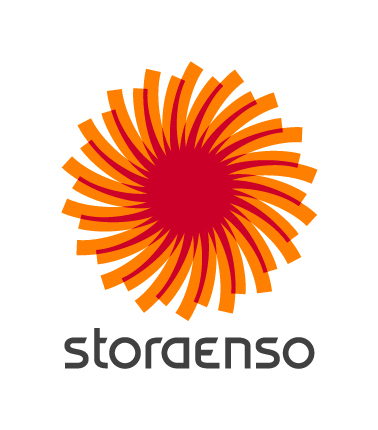 Stora Enso is a leading provider of renewable solutions in packaging, biomaterials, wooden constructions and paper on global markets. The company aims to replace fossil-based materials by innovating and developing new products and services based on wood and other renewable materials. Employing some 26,000 people in over 30 countries, the company has employed a range of innovative measures as part of a commitment to reduce its carbon footprint with an ambitious, integrated, target-based strategy. To mitigate risks to its operations from global warming, Stora Enso has made investments and set science-based targets to reduce greenhouse gas emissions from operations and value chains by moving away from a reliance on coal as an energy source, invested in renewable energy, and developed sustainable forestry management methods. With its science-based targets, set last year, Stora Enso commits to reduce emissions from operations involving pulp, paper, and board by 31% per tonne by 2030. At the Anjala paper Mill in Finland a series of changes over the past ten years have led to significant improvements in energy efficiency levels. Technical innovation led to the purchase of ‘Galileo’, an all-steel cylinder construction. This enabled the company to implement a new process for making mechanical pulp. Unlike chemical pulp, made at pulp mills, mechanical pulp is a high-yield mass that is traditionally created when wood is ground against a large rotating stone. The savings in energy use with the new method equate to a 5,000 tonne reduction in CO2 emissions annually. The new practice was developed using money from a Stora Enso energy efficiency fund. Projects funded this way in 2017, for example, will result in a reduction of over 24,000 tonnes of CO2 emissions annually. All Stora Enso mills use residual biomass, such as sawdust and bark, from production to generate energy - enough to heat the city of Helsinki for four and a half years. Most of that renewable energy is used to power the mills but because of high efficiency levels, there is often a heat surplus. This produces a new income stream as the cheap energy source is sold to nearby businesses and heating networks that supply towns and cities. With a growing demand for climate reporting, Stora Enso is committed to promoting effective measuring of progress that lead to improved company resilience, more informed decisions by investors, and better risk assessments by lenders, insurers, and other stakeholders. To push this agenda forward Stora Enso supports the recommendations of the Task Force on Climate-Related Financial Disclosures (TCFD), which is encouraging the development of a standardised method of reporting to better inform investment and regulative decisions. Bezobalu is a nonprofit organization based in Prague, that seeks to prevent waste. It spreads the idea of Zero Waste among the general public . Brussels, the city at the heart of the European Union, is leading by example, implementing measures to tackle the climate problem. Dąbrowa Górnicza, a city in Zagłębie Dąbrowskie, southern Poland, near Katowice and Sosnowiec is stepping up for climate.